Directors Know: When Child Actors Are On Set, The Studio Teacher Is In Charge All sorts of laws govern the use of children in movies, and studio teachers like Lois Yaroshefsky are in charge of enforcing them. As Jungle Book director Jon Favreau puts it, "Lois is the boss." Neel Sethi plays Mowgli in the upcoming film adaptation of Rudyard Kipling's The Jungle Book. During filming, Neel worked with studio teacher Lois Yaroshefsky to get at least three hours of school in every day, as the law requires. Eleven-year-old Neel Sethi is about to be kidnapped by monkeys. Rigged up to a harness in front of a blue screen, he prepares to run, leap and cavort — a live-action dance that will later be mixed with computer-generated animals. 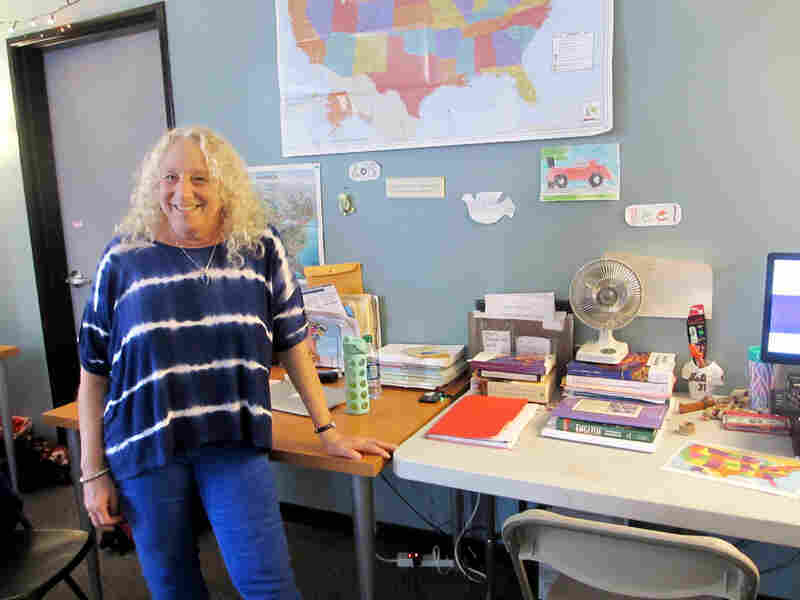 All sorts of laws govern the use of children in movies — time limitations, procedures, rules to keep them safe and educated — and Lois Yaroshefsky is in charge of enforcing them. She's Neel's on-set teacher, and she has taught in schoolrooms and movie studios for almost 40 years. She has also taken courses in the laws surrounding the use of child actors. Yaroshefsky worked on the sets of The Fault in Our Stars, Anchorman 2, Bridesmaids and two Mighty Ducks movies. On the Jungle Book set, Yaroshefsky teaches three young performers: Neel, his stand-in and his body double. (When Neel comes to the end of his permitted work hours, the body double takes over.) The young actors are schooled on set for a minimum of three hours a day, as the law requires. And they're not three consecutive hours — they're catch as catch can. Yaroshefsky runs a clock on every encounter and if it's less than 20 minutes, it doesn't count. "The fact is that Lois is the boss," says Favreau. "You're on a set, you could be spending millions and millions of dollars and you could have everything set up, and at the end of the day, you [have] to look at Lois. And Lois is checking the watch and checking the kid." Because by 4 p.m. on this day, it's all over. By law, the workday ends for Neel and his cohorts after 9 1/2 hours, including school. Now, about an hour before lunchtime on the Jungle Book set, Yaroshefsky and Neel huddle over a computer. At last, they're in school — a nearby room with a counter holding three computers, one for each kid. 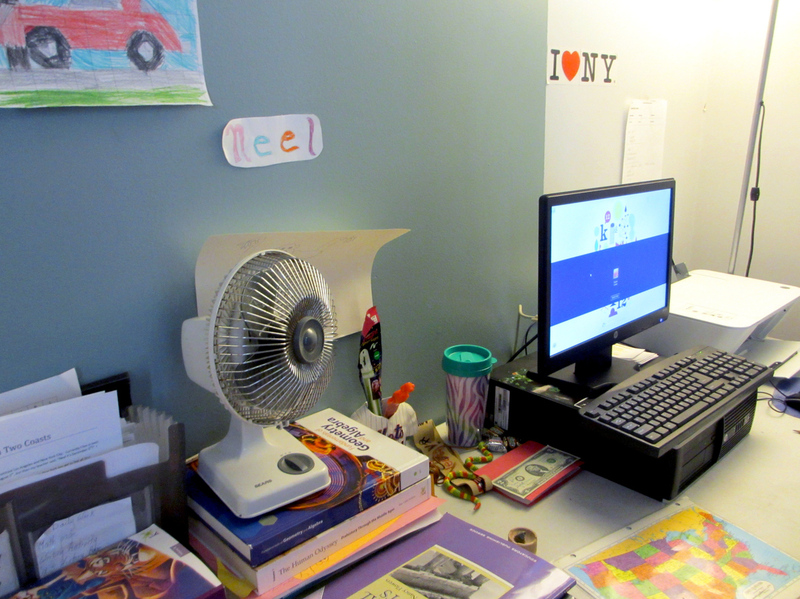 The walls are festooned with personal stuff: photos, crayon drawings and Mets souvenirs for Neel, who's a New Yorker. For Yaroshefsky, a room like this isn't always a given. "There are times I have held class out in a field under a tent, sometimes using a space heater or an air conditioner," she says. "... The most important issue in any situation is that the children are in a quiet, private area where they are comfortable and able to focus." Neel decorates his own desk area in the studio classroom. His doubles, Seth Demora and Mateo Demaya, are also schooled in this room. 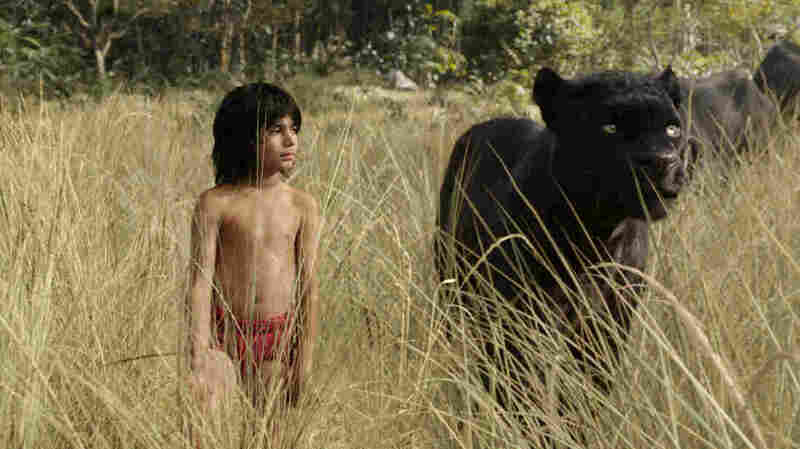 Neel will be in and out of this classroom for seven months while he works on The Jungle Book. School — history, math, science — comes to him online. Each boy has different lessons that Yaroshefsky supplements and supervises, hovering to keep them on track. "I'm not only the studio teacher, but I'm a welfare worker," she says. "I'm always there on set, especially if it's anything dangerous. In my opinion, the schooling is very important, but the welfare is probably the most important part of our job ... the safety, the health concerns. Because, parents, they do have to be here, but they're not the ones that are saying yes or no to whatever is happening." Neel's parents are here — either Cheena or Sam Sethi is on set throughout the shoot. "He loves the shoot," Sam says of his son, "but learning is fun for Neel." Neel wasn't raised to be an actor. In fact, his parents hope he'll follow in their footsteps. "We're both dentists," Sam says. "And that's the seed we planted in Neel's head. But, you know, this was a calling from above, a blessing, and here we are." During one break, a slightly wired Neel explains how he manages to stay focused when he goes from a history lesson to flying with monkeys. "I just say, 'If I do this, this and this, the movie will be done and I can see it,' " the actor explains. "And I want to watch it a lot. And I want to see myself on a big screen." Ego can also be a problem with young actors. Yaroshefsky tries to keep them grounded, but it isn't always easy. "I've had some kids that have been real problems, and I've had a few kids fired off of different movies," she says. But Neel gets it. "He understands," Yaroshefsky says. "I'm about, today, to talk to him and ask him to thank these two boys for what they do. You know, the real actors in the real world, they thank their stand-ins, they thank their stunt doubles. I want him to be a little more humble, and he'll get it." Back on set, a crew member asks Yaroshefsky if there's time for another take. She gives the OK, and Neel flies across the blue screen one more time. When he's done, the crew gives the actor a round of applause. That's a cue for Yaroshefsky to start clocking: half an hour to eat, then another block of school. A previous Web version of this story incorrectly spelled Cheena Sethi's first name as Gina.